Home | Reports | How councils work: an improvement series for councillors and officers - Roles and working relationships: are you getting it right? 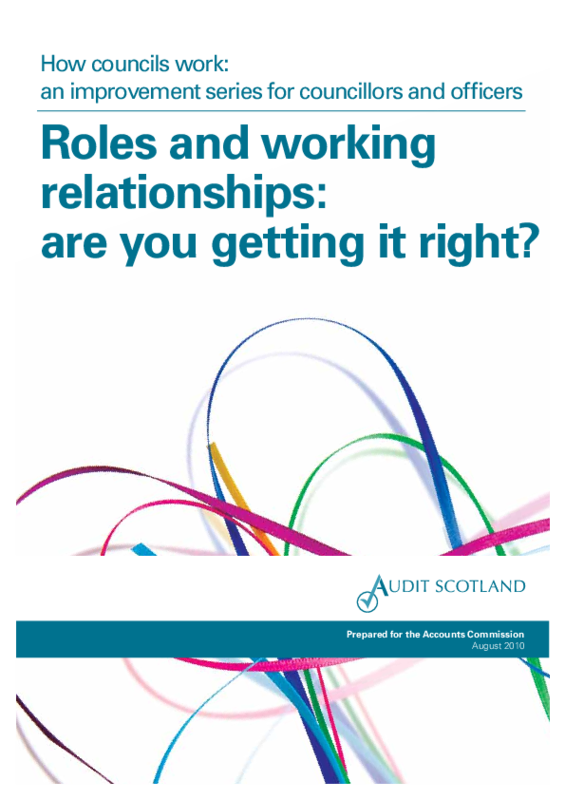 Report: How councils work: an improvement series for councillors and officers - Roles and working relationships: are you getting it right? The report provides checklists, examples and other information to help councils assess their current working practices and identify how they might better equip themselves to deal with the challenges ahead.